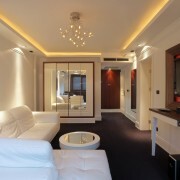 We are an all-suite, four-diamond hotel & one of the top luxury D.T. Calgary hotels situated in the heart of the city with easy access to Eau Claire Market, the Bow River and Prince's Island Park. Executive furnished apartments in Calgary for short term rentals and extended stays. Downtown locations that meet your every need. Travelling? Tips on choosing the right hotel in Calgary AB. Selecting a good hotel in Calgary AB is not an easy process, but if you follow the tips mentioned above, you are sure to find the best hotel price at one of the best luxury hotels for a memorable stay.